Summer is the perfect time for identifying algae. Algae are highly variable “plant-like” organisms that live in water. They use energy from the sun and nutrients in the water to grow and multiply. They also undergo photosynthesis to make oxygen, which is essential for all living organisms. But unlike vascular plants, algae do not have roots, seeds, stems or flowers. Most algae are free floating so you won’t find them attached to the ground (remember: they don’t have roots). 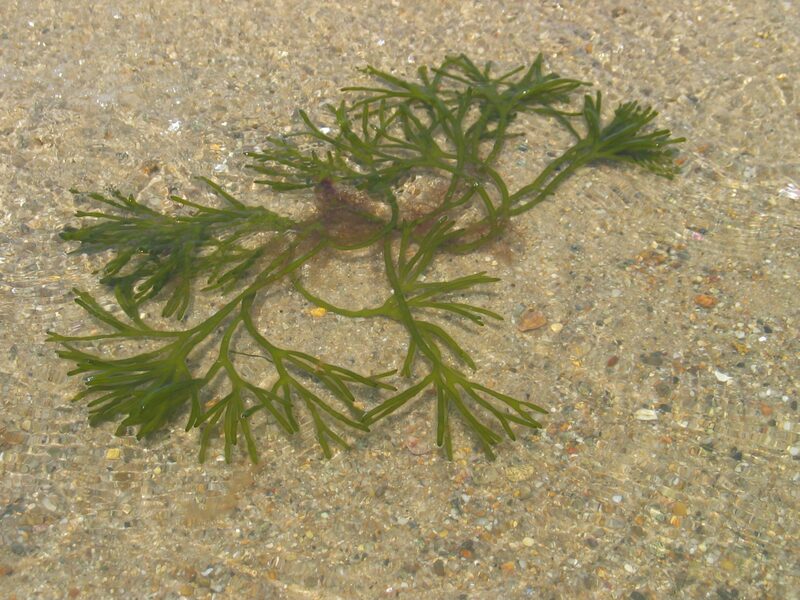 Some algae can, however, attach themselves to different surfaces using “holdfasts”, which are kind of like anchors. 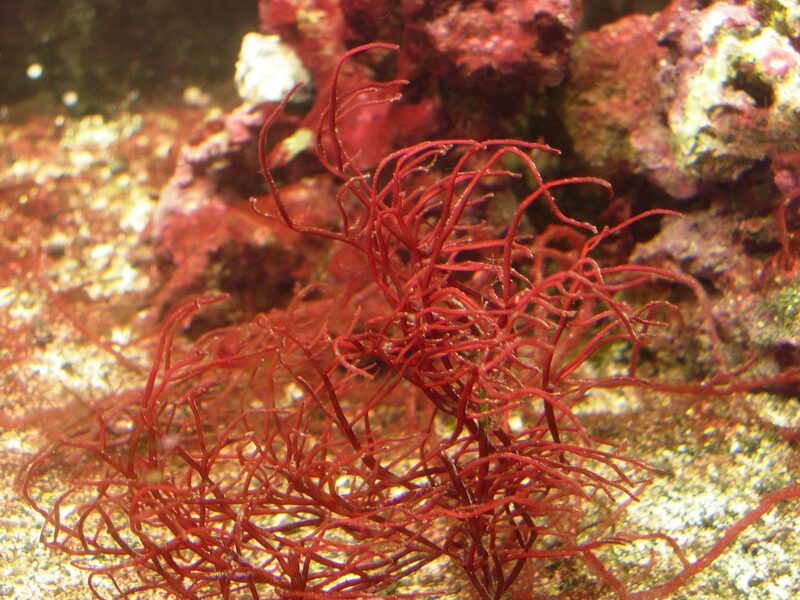 Algae are very diverse – you can find them all over the planet in both fresh and saltwater. The presence or absence of certain types of algae in aquatic ecosystems can also indicate the health of that system. Too little may indicate a lack of nutrients in the waterbody. Too much could signal a harmful nutrient overload. What kind of algae exist? Classifying algae can get difficult – even experts can’t agree exactly where to draw the line when they group different algae together. One thing they can agree on, however, is that algae can range from single-celled organisms to more complex organisms like different types of seaweed, including kelp. There are three main types of algae which occur in different water bodies: red algae, brown algae, and green algae. Apart from colour, these different types of algae vary in their structure and in the way that they absorb and use energy. 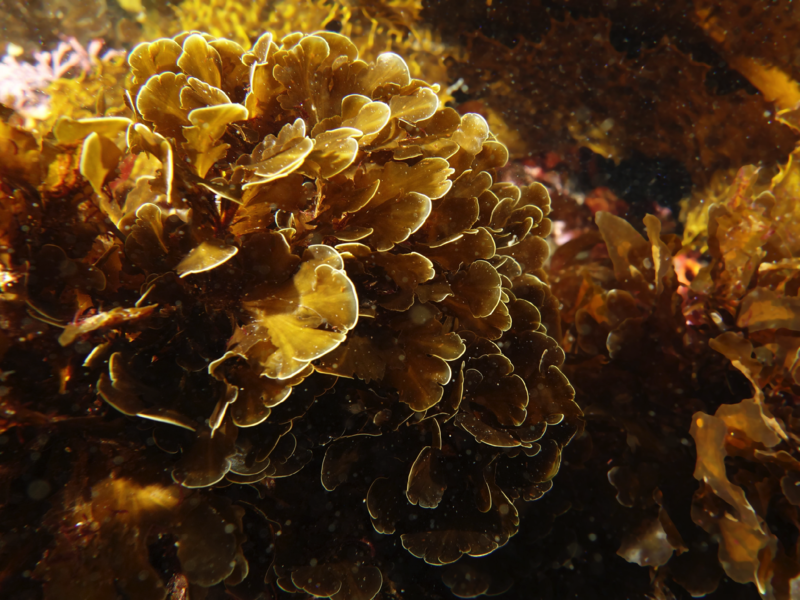 Red and brown algae are mostly found in marine ecosystems, while green algae can be found in both marine and freshwater environments. Green algae are the most diverse group, with thousands of species found worldwide. Blue-green algae are actually a form of bacteria (cyanobacteria). However, they are sometimes confused for green algae because they function much like traditional algae which undergo photosynthesis. Algae form wherever there are enough nutrients, sunlight and water for them to grow. Most algae exist naturally in different aquatic ecosystems at healthy, manageable concentrations. What kind of algae are harmful to human health? While we sometimes associate algae with polluted waters, they play an important role as the basis of many aquatic food chains. The harmful algae we are actually thinking about is blue-green algae (remember: it’s actually cyanobacteria). They can produce toxins that are released after the algae die. These toxins are harmful to human health and they can make people sick either through ingestion or direct contact with skin. Skin contact with blue-green algae can result in rashes while ingestion of the algae can cause nausea, diarrhea and vomiting or even headaches and body aches. Very severe cases of exposure can even include seizures or liver/respiratory failure (these cases are very rare). 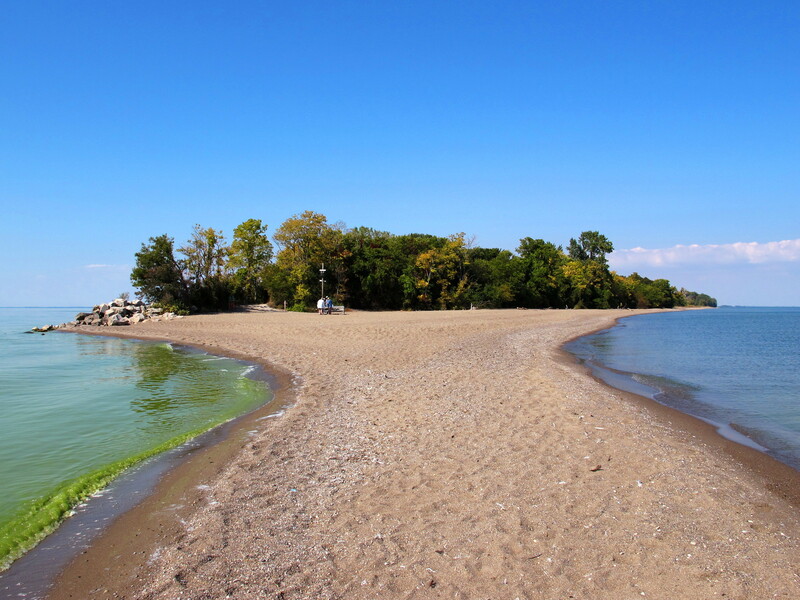 It’s best to avoid swimming in or drinking from water bodies in which large numbers of algae are present. You can find out more about how to protect yourself from blue-green algae here. How do we identify algae? Single-celled algae are hard to see, but you’ll have no problem identifying seaweed near the lake or sea floor where it’s shallow. Noticing blue-green algae is particularly important. When they are present at a normal concentration, it is unlikely that you can see them – they are microscopic. Under the right conditions, however, they can multiply exponentially, and it’s certain that you will see a mass of algae when there is a “bloom”. You might also recognize a bloom by its pungent smell. Algae that grows at very high densities, forming a clump of organisms that can look like a carpet on the water, is called an algal bloom. These high concentrations of algae can also have a “grassy” or “swampy” smell. Elevated amounts of algae in a waterbody usually result when high amounts of nutrients like nitrogen or phosphorus are added to the water. These nutrients can come from agricultural fertilizers, waste, and/or sewage leaked into water bodies. 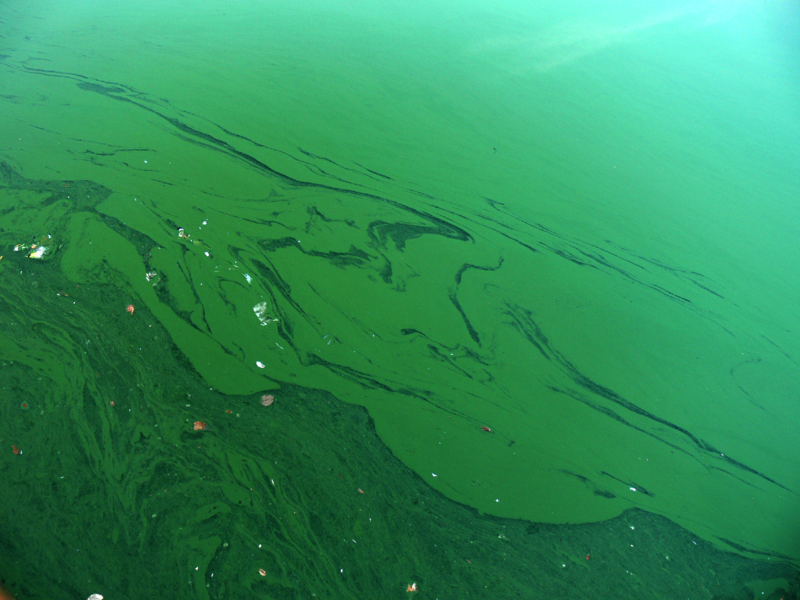 When they are mixed with high temperatures, ample sunlight, and slow-moving water, you get the perfect recipe for a harmful algal bloom. When these mass groups of algae die off, they release toxins which can be harmful to human health. 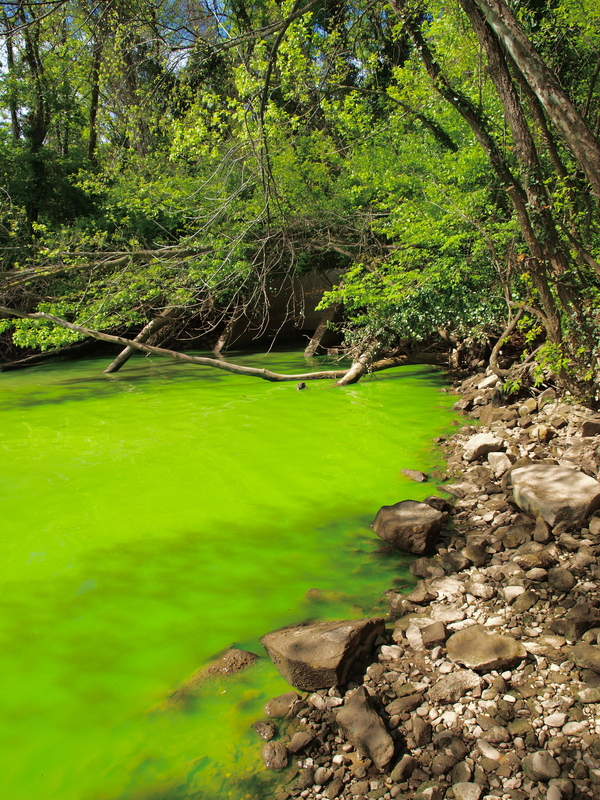 This usually occurs with blue-green algae. Blooms can range in colour from green to brown to red. Bright green to green-blue blooms usually tell us that there is an increased presence of blue-green algae, which is particularly alarming. What can we do to prevent algal blooms? There are many things we can’t control when it comes to algal blooms. We can’t control how much the sun shines, or how quickly water moves, for example. Nevertheless, humans are very much in control of the amount of nutrients we put into the water. Fertilizers from agricultural fields, sewage overflows, and direct human and animal waste products contribute to harmful algal blooms. Preventing these products from entering our waterways is the first step to stopping toxic algal blooms from ruining our recreational water experiences.